So. You want to be a homesteader. You want the gardens and the chickens and the whole nine yards. I completely understand! There are a gazillion reasons that people want to get into homesteading. But hold up one second while I share the truth about homesteading with you. 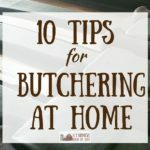 Because there are seven things you should really be aware of before you jump in to homesteading head first. #1: The truth about homesteading? It’s dirty. Homesteading is dirty, and also maybe gross. We’re talking poop, mud, maggots, and bodily fluids from animals. Those pictures of the perfect coops on Pinterest? The owners just cleaned them. Seriously. The amount of time your coop will look anything close to that is maybe 14 seconds. Also, your hands are gonna be dirty. Whether it’s from work in the barn or from plunging them into your garden, your hands will. still. get. dirty.—yes, sometimes even if you wear gloves! Using decent soap helps, but you should definitely get okay with the knowledge that dirty hands are part of hard work. Be proud! #2: It’s hard to get away. Want to leave with the family overnight? Want to take a weekend away…or a week? To vacation as a family once you have a homestead makes things a bit tricky. Once you reach a certain stage of the game, it means hiring a caretaker or farm sitter. Do you have someone in your life that you can trust to do what you do? Even if you are able to get away, you’re still left wondering about the tomatoes, the pregnant goat, or the pig you thought you saw limping before you left. That darn homestead is always on your mind. 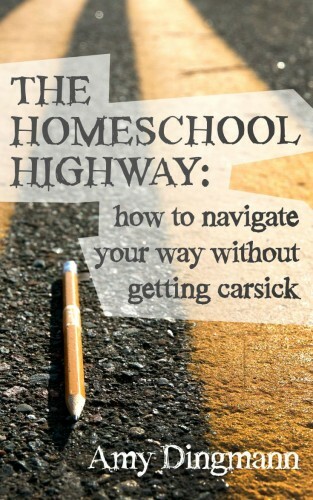 #3: Homesteading happens in sickness and in health. That’s the truth about homesteading. Homesteading is 365 days a year, and what needs to be done waits for no man, woman, or child. I’m gonna be honest here—if the whole family has the flu, the person elected to do chores is the person who can be upright the longest without getting sick. Choring with a temp of 103 isn’t fun, and let’s just assume we’re all on the same page about what that means. It doesn’t matter if you’re talking about the expected death that comes with butchering or old age, or a sudden death—like when the stray dog comes in your yard and wipes out your chickens or your goat hangs himself in a feeder. Death is part of the deal that you make when you agree to homestead (with animals). How will you handle this? You probably won’t know how you’re going to handle this until you have to handle it. And with animals on the farm, you will eventually handle it. #5: …and so is failure. Failure is a big part of homesteading, too. But failure is just part of taking on something new and learning how things work. Let’s be honest—you can research something to death and think you’ve got it all right, and still fail miserably. That’s not to scare you off from homesteading, that’s just a honest estimation of how things work. You’re going to try some things in homesteading that you’re going to fail at. Some of those things might not even be your fault. You know why? Well, the thing about homesteading is that…. #6: Major truth about homesteading? It’s completely unpredictable. You’re dealing with Mother Nature, and she cannot be controlled. Too much snow, an early frost, not enough rain, or a crazy wind that knocks down your crops. Besides Mother Nature, you have to deal with her friend, Life, which means what worked last year on your homestead might not work again for three or seven or 15 years. Every year is different. The cost of food rises. The cost of animals rises. Sometimes you can’t find feeder pigs because an illness wiped out everything semi-local. The folks you were raising the chicken/pork/beef for back out at the last minute. A pesty animal makes it past your garden fence and helps himself to half of your produce. The time and help and money you have available for your homestead work suddenly changes. If I’ve learned anything since moving here to the farm it’s that we’re really good at punting. #7. But the biggest truth about homesteading? You will love it and not want it any other way. Perhaps the biggest irony is that despite the frustration, the exhaustion, and the what in the world was I thinking, you won’t be able to imagine your life any other way. The food tastes better, the sunrises are amazing, and your soul will be satisfied in a way you can hardly explain—which, at the end of the day, somehow makes the chaos brought by first six truths totally and completely worth it. The broken canning jars hit me where it hurts. Like so many other things in life you can choose to see the one broken jar or the dozen that were processed successfully. Great article Amy! LOL!!! 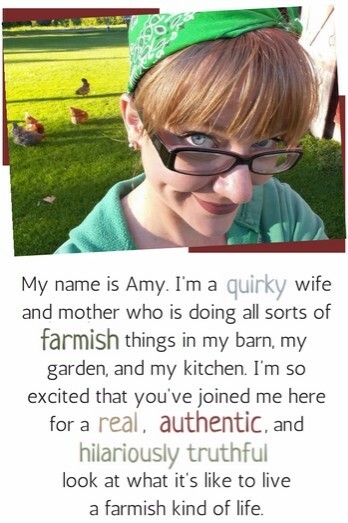 Amy, this is all so very true! I didn’t realize how much so when we first began! My husband and I have not been away overnight for any kind of anything since we started our small homestead 3 years ago! Not complaining, mind you—-but everything you say is TRUTH! 🙂 Thanks for making me smile! I love it! “Your hands will still get dirty with gloves” is so spot on that I’ve given up on them! But I have learned that in the middle of gardening season and you have somewhere presentable to be, tomato juice works wonders on my embarrassing hands!! Haha! #8) At some point, you are going to look like a horse’s behind. That is part of the package, and it is OK to fail, or to get it wrong, or to get it RIGHT and never be able to repeat it again. Homesteading will teach you the meaning of humility, and occasionally, humiliation. Stick with it long enough, and you will learn to get over yourself. Aw. Thanks. I’m glad you’re here! We moved to a property hoping to make it our homestead. It takes much longer than anticipated and it seems like more goes wrong than right but we know it’s all going to be worth it.